During this week-long bootcamp, you'll be learning a LOT about the ukulele! If you enjoy this week, come see us in the fall for a much more in-depth look at this instrument, technique and songs! It's a lot of fun! Have a ukulele at home? Color-code it! You can buy paint pens at Walmart- or use acrylic paint you have at home. Here is a quick map and synopsis of the color-coding system. 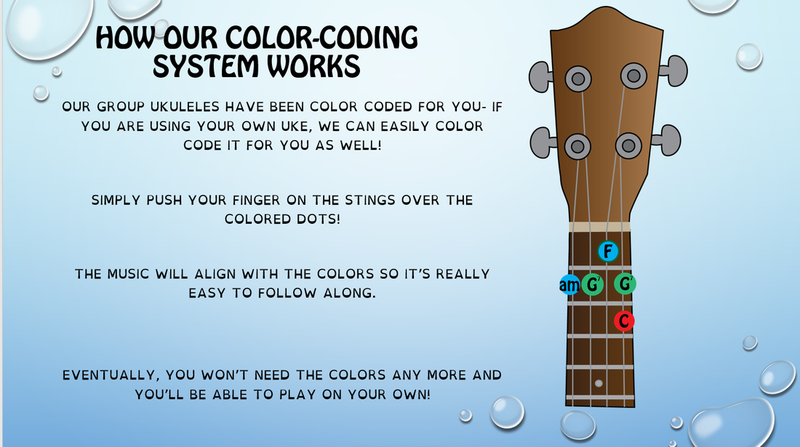 All of the Lowell Learns ukuleles are color coded and will follow this system. So today we learned about our helper chord progression. 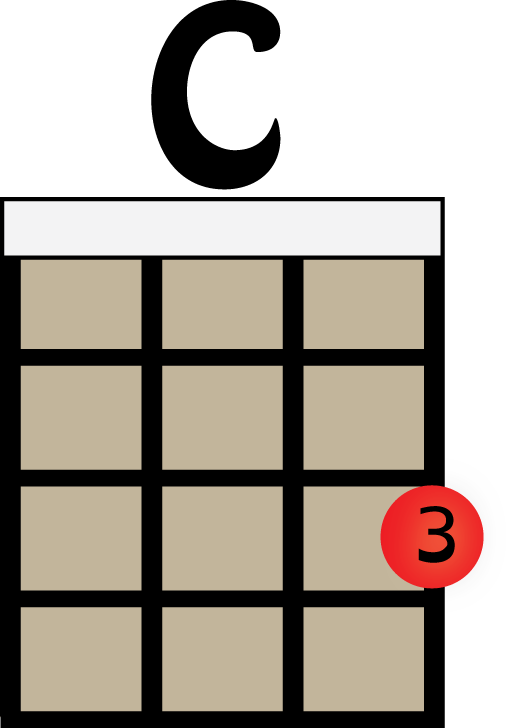 -A quick reminder that "chords" are the shapes we play on our ukuleles and consist of all 4 strings being strummed at the same time. The chords we learned today are C & am. C and am are the start of the helper progression. 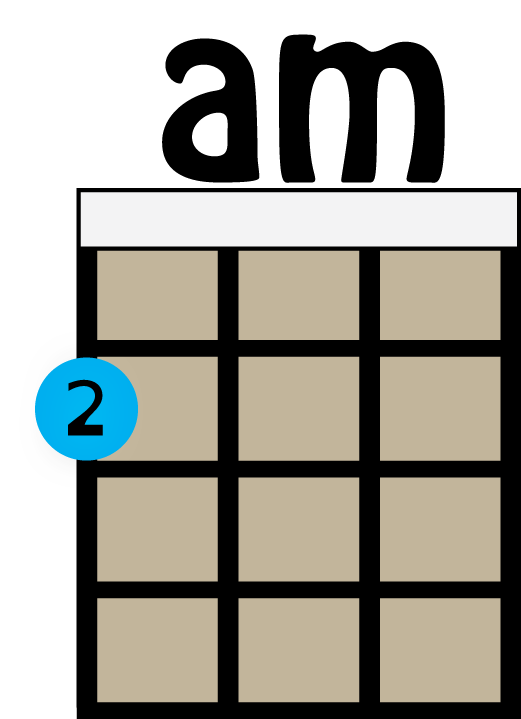 For the next two days we will add chords into our progression and practice switching between them. We like to play "The Game" to help master the transitions between these chords. then say "OH MY GOODNESS, MOVE THOSE FINGERS" using that time to switch to am. all the way through the progression, looping back to C.
Once you can do that with no pauses... try just saying "Oh my goodness"
This switching skill is the most important skill you need to learn on ukulele... it allows you to play through songs without pausing. Mel likes the ukulele... and teaching... so this should be fun!